Sleep is an essential part of normal body function. It is cued by the release of a neurotransmitter chemical called adenosine. Other neurotransmitters, serotonine and norepinephrine, keep parts of the brain active while we are awake. Although scientists have not found brain cells that get tired and ‘need’ to sleep, there appears to be some brain cells that work harder while we are awake while others work harder when we are asleep. Unlike a baby who will sleep for up to 17 hours a day, an adult generally requires about 8 hours of sleep. Rapid Eye Movement (REM)- adults spend about 20% of sleep time in REM sleep. Stages 3 and 4 combined make up ‘deep sleep’. It is hard to wake someone up from deep sleep and they will feel groggy and disoriented for several minutes after waking. Sound like anyone’s Monday morning? We all know what happens when we spend too long without sleep. Lack of concentration, impaired memory and irritability are just some of the signs of fatigue. Drowsiness, the last stage before sleep, is caused by the build up of adenosine in the brain. When a person has been awake for a long time, their cells release adenosine to signal a need for sleep. 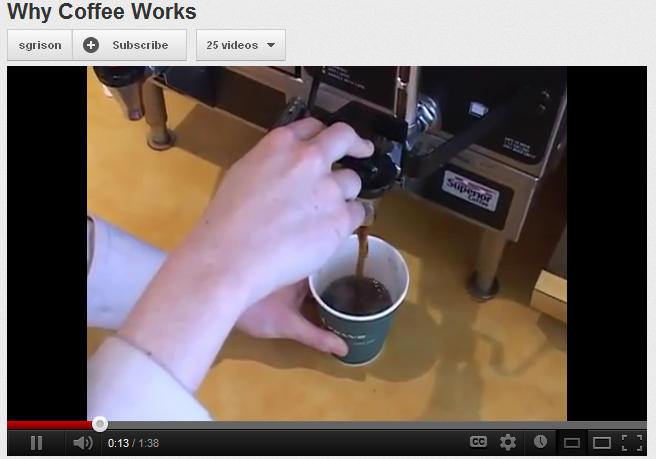 Caffeine and other stimulants were shown in a 2005 study to interfere with adrenosine reaching the brain. This results in the brain being unaware that cells have been working for a prolonged time, delaying sleep. Did you know that you develop a ‘sleep debt’ when going without sleep for prolonged periods of time? Although people may get used to a sleep-deprived schedule, their judgement, reaction time and other brain functions remain impaired. Eventually the body demands repayment of the sleep-debt. Sleep deprived people who are tested with a driving simulator or a hand-eye coordination test often perform as badly as people who are drunk. In the years between 2006 and 2010 in New Zealand, there were 937 vehicle crashes involving 1244 serious injuries and deaths. 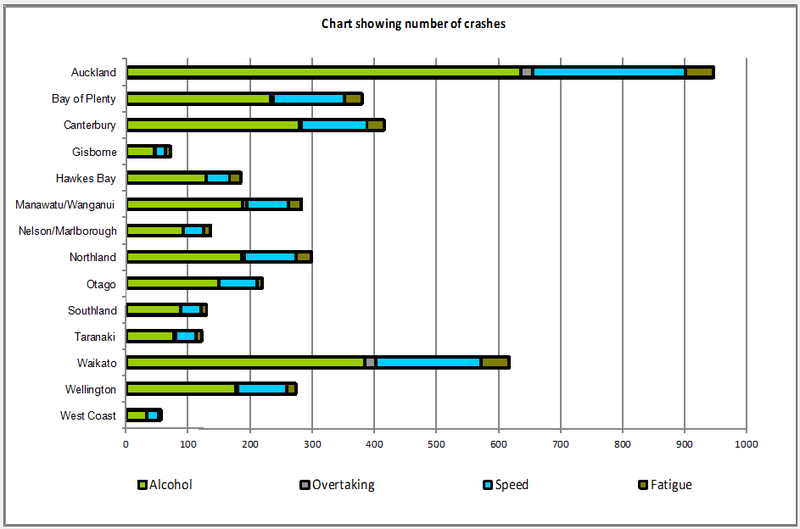 Although not as large as the number of crashes alcohol was involved in, any number of crashes attributable to sleep is too large. It is so simple to pull the vehicle over and take a 20 minute power nap. Arriving safely at a destination is preferable to not arriving at all. Experiments have shown that sleep is linked with both a healthy nervous system and immune system. In the nervous system, sleep is thought to give brain cells the chance to exercise brain connections that might otherwise deteriorate due to lack of activity. In the immune system, deep sleep has been linked to the release of growth hormones in children and young adults. Proteins crucial for cell repair are produced in greater quantities during sleep. Our bodies are programmed to sleep at a certain time. Have you ever crossed a time line? Jet lag, severe fatigue, is the result of a confused body clock. This ‘body clock’ controls the rhythm of waking and sleeping. It is cued by external light, and bright lights can apparently reset the clock. Some doctors are using ‘light therapy’, shining bright lights on people for several hours before they want to wake up, to help people adapt to new time zones. Many people with total blindness have life-long sleeping problems because their brains cannot be cued for sleep by light. In Western Society, people are burning both ends of the candle at once. When sleep is so crucial for good health, it is worth investing in at least 8 hours of sleep each night. On the 24th January 2012 during a normal workday, Linda Haussman felt what she described as a mosquito bite halfway down her shin. By Friday, what had been an itchy area now ‘looked a bit different’. In hindsight, Linda said that she should have gone to the doctor then. Instead, she waited. Over the weekend this itchy area started to resemble a hole left by a scratched pimple. By Sunday the sore area had grown to the size of her little fingernail, with a hole in the middle that ‘looked like a flesh-eating disease’. 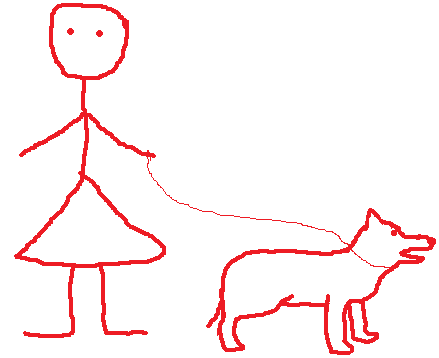 Linda recalls walking her dog when all of a sudden her leg began stinging ‘like salt in an open wound’. It hurt so badly she wept. Monday morning she was at the doctor. He told her it was likely an infected white-tailed spider bite and added that everyone reacts differently to the bites. The stinging pain she had experienced was due to raw nerves being exposed to air. 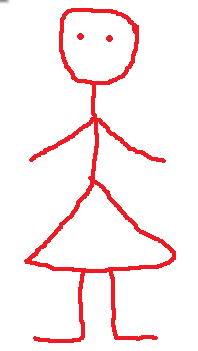 Because Linda’s bite was on the front of her shin, there was no fat behind it and the bite was right on her bone. This has meant a long and tedious healing process. To begin with, Linda had to lie on a sofa with her leg elevated for 4-5 hours per day. She was at the doctor to get the dressing over the ‘open weeping hole’ changed twice a week. The hole smelt really bad due to infection. Nurses had to maintain a close watch on this infection, taking tissue samples that caused pain enough to take Linda’s breath away. It was not until early April, over two months after the incident, that Linda could resume walking her dogs. As of mid-April, Linda could keep each dressing on for 5 days before needing to change it. The hole in her leg was finally beginning to shrink. Linda went at least three days too late to the doctor. Her advice? When I first started writing this post, I intended to attack white-tails as a scourge in New Zealand. However, in looking through academic articles I could find little science to validate the white-tailed spider as the cause of flesh-eating wounds. A 2004 article in the New Zealand Medical Journal discussed weakness in evidence identifying white-tailed spiders as the cause of these wounds and recognised debate as to whether white-tailed spider venom is toxic to humans. People generally do not see a spider biting them, which raises doubt about the complicity of white-tailed spiders in these wounds. In a 2010 newspaper article in The Northern Advocate Ruud Kleinpaste, described as a ‘bugman’, says white-tailed spider bites are an urban myth. ‘Everyone with a puncture wound or bite says it’s a white-tail but in New Zealand we have dozens of other spiders that can give us a pretty nasty bite.’ He also said that white-tailed spiders are more likely to be eaten by daddy long legs than the other way around. The Ministry of Health seems to share Kleinpaste’s opinion. 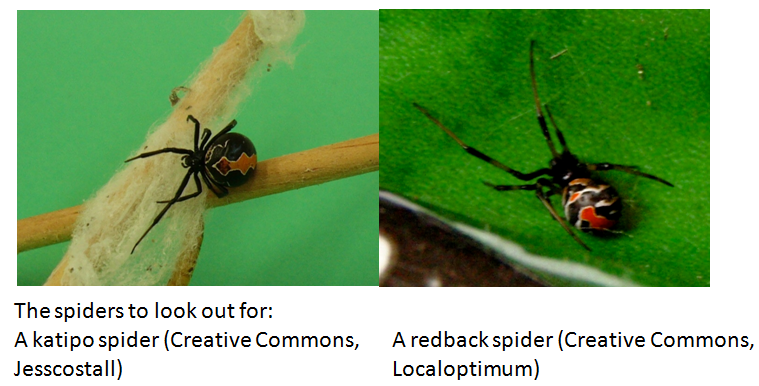 In their Spiders in New Zealand pamphlet, they describe native katipo and redback spiders as potentially harmful. They are quick to assure the public that these spiders are rare and generally non-aggressive unless they feel threatened. The dominant poison in both the katipo and redback spiders’ venom is a latrotoxin that interferes with the nervous system, prompting large-scale production of the neurotransmitter acetyl choline in the body. This neurotransmitter signals muscles to tighten, causing pain. Other symptoms of these bites are sweating, shaking and nausea. Anyone bitten by such a spider is advised not to panic but to get urgent medical attention within three hours. Antivenom is available in all NZ hospitals. Regardless of the identity of the culprit, there are bugs in New Zealand that can give a nasty bite with the potential to develop flesh-eating bacteria. Keep Linda’s advice in mind and get suspicious bites checked out by a doctor. Scientists have been trying to figure out how memory works for over a century. There is huge potential for such research to direct drug design for Alzheimers disease and other conditions involving memory loss. There is no known cure for Alzheimers disease. In Alzheimers, brain proteins form abnormal plaques and tangles, resulting in the death of brain cells and loss of memory. The protein changes are associated with a shortage of neurotransmitters, chemicals that convey messages between cells. These neurotransmitters are very important and can be considered the ‘words’ of brain language. The lack of neurotransmitter is addressed by drugs that treat symptoms of Alzheimers. One of these scarce neurotransmitters is acetylcholine. Several drugs focus on boosting existing levels of acetylcholine to address this chemical shortage. Other drugs attempt to prevent further entrance of calcium into the brain. Excess calcium in brain cells damages them and causes a break-down in communication with other brain cells. One of the challenges to understanding memory- and the brain in general- is that a mammal is estimated to have 1011 (100 billion) brain cells. In a human, each of these neural (brain) cells is estimated to connect to 1000 other cells, meaning there are 1014 (100 000 billion) interconnections. These cell connections are called synapses and are structures that transmit chemical signals between cells. This communication involves a chemical neurotransmitter and specific regions of different calcium concentrations. There has been much study done to begin unravelling the memory mystery. Following on from Hebb’s research, in 2007 Professor Joe Z. Tsien reported that a protein complex known as the NMDA receptor is responsible for strengthening future interaction between two neural cells. His research involved genetically engineering mice with no NMDA receptor and mice with enhanced production of the NMDA receptor. The mice with more NMDA receptors ‘learned faster and retained memories longer than unaltered mice did.’ He concluded that activation and reactivation of this NMDA receptor links memory from the molecular to the network level. 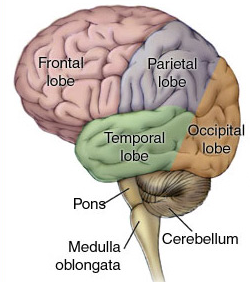 In 2009 further research was reported by Kenneth S. Kosik, a neuroscientist at the University of California Santa Barbara. He explained the strengthening of the synapse (join between two neural cells) as being the result of protein production. Proteins build the connection between brain cells and make it stronger. Kosik found that the production of new proteins can only occur when a ‘silencing complex’ is turned off. When synapses are activated, one of the proteins wrapped around the silencing complex gets degraded. This allows the cell to start making these proteins to strengthen the neural connections. Kosik was able to observe some of the specific proteins involved in building memory connections between brain cells. The strength of neural synapse connections is important but short-lived. Synaptic long-term memories are encoded at a deeper molecular scale. The enzyme CAMKII (Calcium/calmodulin-dependent protein kinase II) has long been recognised as a major player in long-term memory production. In 2012 a group of scientists from the Universities of Alberta and Arizona looked at long-term memory coding using molecular modelling. They showed a spatial connection between microtubules and the enzyme CAMKII. Microtubules are major parts of the structural cytoskeleton within brain cells. This group, including physicists Travis Craddock and Jack Tuszynski and anesthesiologist Stuart Hameroff, have demonstrated a mechanism for encoding synaptic memory into microtubules. They believe that memory is written into the cytoskeleton of brain cells. There is on-going research aimed at untangling the mystery of memory formation and retention. Science is not yet in a postition to try to prevent Alzheimers or memory loss, but greater understanding of how memory works will help design drugs to that do this. It is worth noting that there are ethical implications to understanding the formation of memory in the brain. As soon as science understands something, it tends to replicate it. One of the first times that I realised science could be useful rather than a slog, was (surprisingly enough) in physics. Look familiar to anyone? As usual in physics, this formula looks singularly unhelpful. But in fact it relates force and time. If you troll through all the formulae behind acceleration, you learn that a force gets weaker when applied for longer. The useful part? This idea is used in bike helmets, to stop your head from getting such a whack when you fall off your bike. The helmet has a ‘crumple zone’ made from expanded foam polystyrene, which has lots of tiny air bubbles in it that can be crushed. It takes time to crush these air pockets. The extra time this takes results in less force hitting your head. 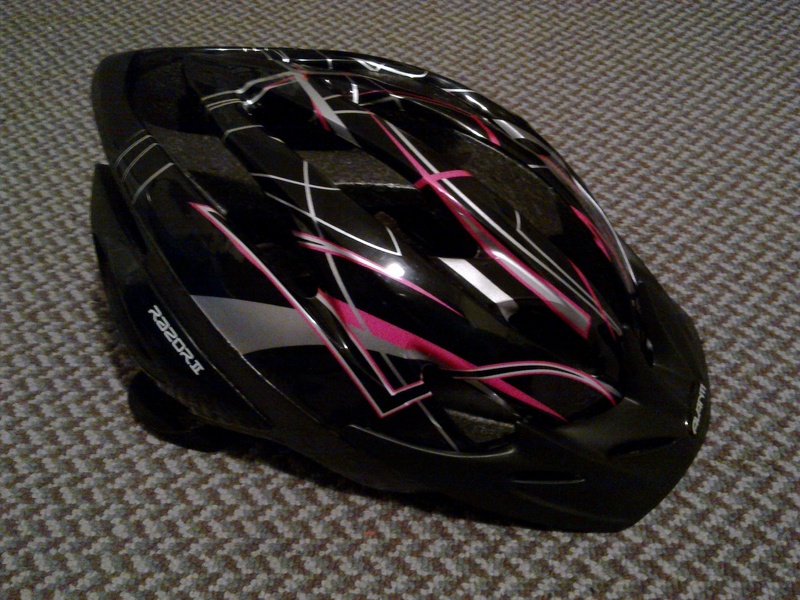 In other words, a bicycle helmet offers a layer of protection and helps to prevent head injury. 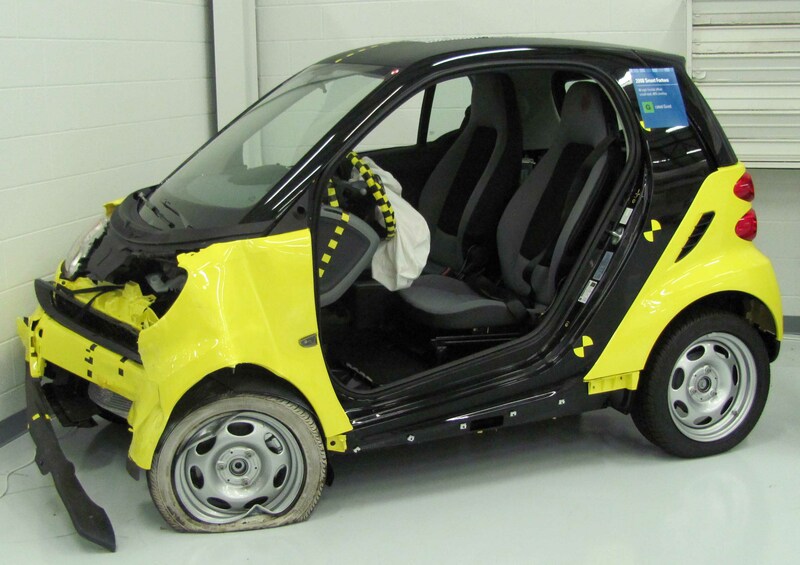 But we also have a ‘crumple zone’ in cars. Several, in fact. Usually there is one at the front and rear of the car, with a rigid cab in the middle. And there’s the airbags, which are a sort of ‘crumple zone’ too. Crumple zones work by increasing the time it takes for a car and its occupants to come to a stop, causing a decreased force on the occupants. This is the same idea as a bike helmet, on a larger scale. 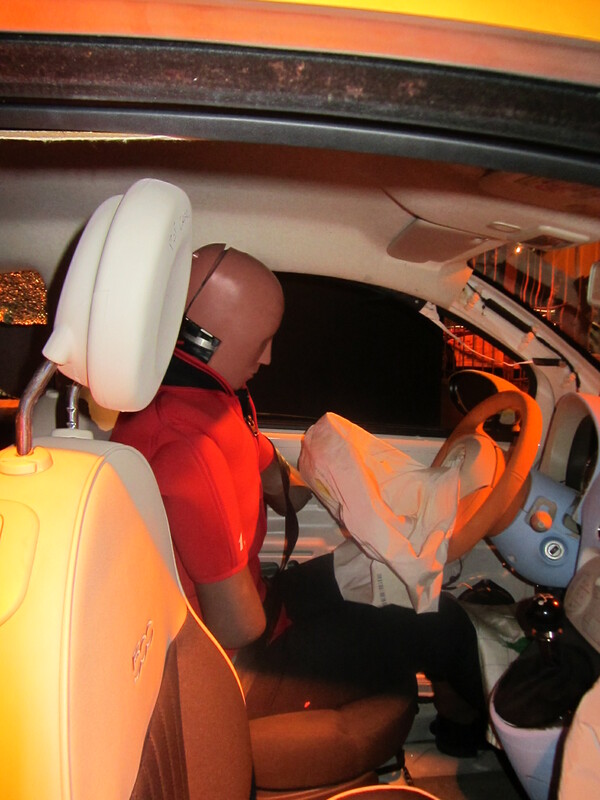 In a car, the airbag acts like a cushion and lessens the impact of a person hitting the cab. Again, this is related to increasing the time and so decreasing the force of collision. But people don’t drive around with airbags inflated. The airbag must have some sort of trigger so that it inflates during an accident, before the occupants of the car are thrown around. According to research from Washington University, for an airbag to be useful in preventing severe injury, it must deploy and inflate within 40 mili-seconds of a crash (0.004 seconds). It must also be able to tell the difference between a serious crash and a minor fender-bender. Air bags are inflated not by compressed gas, but the products of a chemical reaction. Sodium azide, NaN3, is a chemical that releases nitrogen gas (N2) when it is ignited. A sensor causes ignition of sodium azide at the start of a severe crash, causing the airbag to quickly fill with nitrogen gas. However, harmful sodium (Na) metal is also produced in this process. To prevent this from being an issue, additives such as silicon dioxide are used to react with this sodium metal and produce harmless by-products. The airbag only works to cushion impact if it has inflated and is deflating when the person hits it. The impact of hitting the airbag while it is inflating has been compared to hitting a stone. Some fatalities have been caused by not wearing a seatbelt so that the person was too close to the airbag when it inflated. Many minor cuts and bruises have been caused by airbag impact. Lots of research is being done by pyrotechnic companies to maximise the safety of airbags. In the 21 years between 1987 when airbags were made compulsory and 2008, it has estimated that 25 782 lives have been saved by frontal airbags (US Department of Transportation). Airbags have been shown to be effective not only in the number of lives saved but also in preventing a large number of life-threatening and debilitating injuries such as skull fractures and brain injuries. Airbags and seatbelts together ensure the safety of car drivers and passengers. Use them both! Surely preventing a fractured skull is worth getting a bruise. The immune system is an intricately designed defense mechanism. It acts to neutralise infectious bacteria, viruses and generally protect the body from disease. However, when the immune system is too sensitive, it can react to normally harmless substances in the environment. This is an allergic reaction. The substances that cause an allergic reaction are called allergens. These can be biological (pollens, dust, bacteria), chemical (rubber, nickel, isocyanates in spray paint) or physical (heat, light, electromagnetic radiation). So what’s going on in the body? The body’s first response to an allergen is to release antibodies. These antibodies stimulate cells in the blood to release histamine. Skin: a rash or itch. Lungs: narrowing of airways. This can cause wheezing and difficulty breathing. Sinuses: increased mucous production. This can cause a runny nose or productive cough. Blood: widens blood vessels. This causes a rapid drop in blood pressure which can lead to shock. Some of these reactions can be useful when fighting off a real infection and trying to get bacteria out of the body. For example, the widened blood vessels allow faster transport of white blood cells to attack a source of infection. In addition to this, increased mucous production protects areas such as the lungs from bacterial invasion. Mucous is used to protect internal body tissue: in the lungs, it is a protective layer between bacteria-containing air and body tissue. Increased mucous production is intended to trap and expel bacteria from the body (when it is coughed out). The severity of an allergic reaction ranges from mild, such as hayfever, to severe. Anaphylaxis is an extreme all-body allergic reaction with symptoms such as difficulty breathing, itchiness, nausea and dizziness. It can have fatal consequences if not treated immediately by a professional. If the allergic reaction is from a bee sting, carefully scrape the stinger off the skin with a credit card. DO NOT use tweezers: squeezing the stinger releases more venom. If the person has emergency medicine on hand, help the person to take or inject it. Avoid oral medication such as pills if the person is having difficulty breathing. Severe reactions: Adrenaline is the body’s natural histamine inhibitor, blocking the histamine receptors. An adrenaline dose is often carried by a person who has anaphylaxis. When given to a person in anaphylactic shock, the adrenaline should block the symptoms of an allergic reaction. This can be life-saving. Mild reactions: Anti-histamines are often prescribed for people with mild allergies. These drugs also block histamine receptors, but particularly target the receptors in the skin and sinuses to prevent rashes and a runny nose. Doctors may use ‘allergy shots’ to prevent allergic reactions. The idea is to inject your body with very small doses of whatever it is you are allergic to. This should slowly change your body’s reaction to this allergen. The process is a slow one and may take up to 5 years. Where do thyroid hormones come from? The thyroid gland has a crucial role in the body. A large butterfly-shaped gland that sits just below the windpipe, it uses iodine to produce several thyroid hormones. Two of these hormones are particularly important. Thyroid hormones control metabolism (the process of breaking down food into energy for cells). T3 and T4 play roles in regulating body energy, growth and the body’s use of other hormones and vitamins. They also control production of serotonin, a ‘feel-good’ hormone. There needs to be a constant level of thyroid hormone maintained to ensure that the body functions properly. Too much thyroid hormone in the body results in Hyperthyroidism. This is a condition that causes poor concentration, fatigue, goiter (visibly enlarged thyroid gland) and heat intolerance. 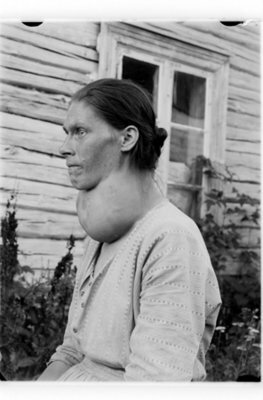 A woman with goiter, a swollen thyroid gland. Hyperthyroidism is treated either with anti-thryroid medications or surgery or radioactive iodine to remove the thyroid. A patient then takes thyroid hormone replacement pills for the rest of his life. Not enough thyroid hormone in the body results in Hypothyroidism. Depression, unintentional weight gain, sensitivity to cold and fatigue characterise this condition. Treatment involves minimal dosage of drugs used to produced more thyroid hormone and relieve symptoms. Hypothyroidism is usually a life-long condition and pills have to be taken daily to maintain healthy thyroid levels. For public health reasons, iodine is often put in salt. This ensures that the body has a ready source of iodine for production of these important thyroid hormones. 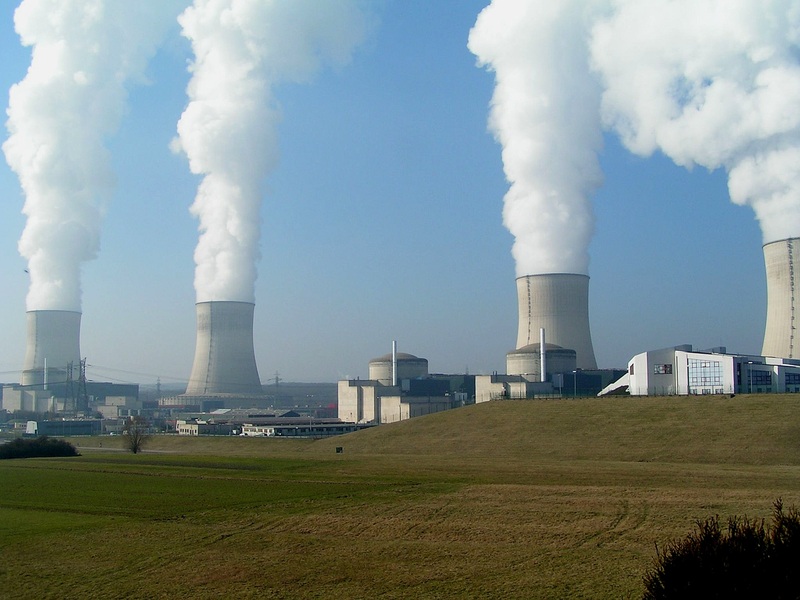 Nuclear Power Plant in Cattenom, France. Source: Creative Commons, Stefan Kuhn. The thyroid gland is the only place in the body that absorbs iodine. In the event of a nuclear accident, radioactive iodine may be released which, if absorbed into the body, will cause cancer and other disease. Taking potassium iodide (KI) tablets at the beginning of a nuclear accident will saturate the thyroid gland. This prevents it from absorbing radioactive iodine from the environment. The dosage and timing of taking KI tablets is very important and during a disaster, public health officials are careful to give detailed instructions for the public to follow. In the past, scientists have tended to agree that the appendix has no function in the body. It was regarded as a ‘vestigial organ’, something that has no function in the body. The appendix is thought to be left-over from evolution. However, research shows that the appendix plays a role in the immune system. 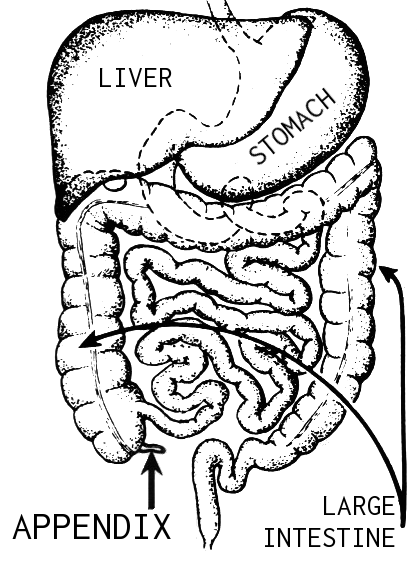 The appendix is found in the abdomen, attached to the large intestine. The appendix is associated with lymphatic tissue, which is closely associated with the immune system (J. Anatomy 126 (1978) 87-101). This observation was made over 30 years ago. It has recently been proposed (Journal of Theoretical Biology 249 (2007) 826-831) that the appendix works as a storage house for ‘good’ bacteria that live in the gut. These ‘good’ bacteria help the digestive system to break down food. Note: The gut or digestive system includes the small bowel (small intestine) and the large bowel (large intestine or colon). A team of scientists under the leadership of William Parker, Ph.D., have observed that there are biofilms in the bowel that protect these helpful bacteria. 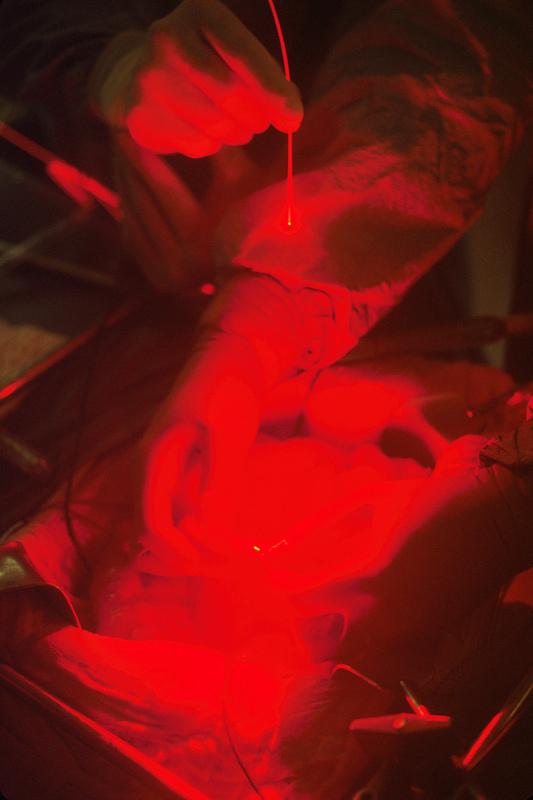 They also observed that there are more biofilms in and around the appendix. So, this team has suggested that the appendix stores helpful bacteria in biofilms to repopulate the gut when the contents of the bowels are cleaned out by diarrhea. The appendix can then release more helpful bacteria back into the gut to keep it healthy and working well. Since there is no consensus on the normal function of the appendix, it is difficult for doctors to decide when it is a problem. However, appendicitis (swelling, inflammation and infection of the appendix) is a common health issue. Interestingly, appendicitis is more common in males than females. When I was a young teenager, I had my appendix out. I had been sick with various complaints including stomach pains for over a year. Doctors could provide no diagnosis or cure for what was wrong with me. In females, appendicitis is harder to diagnose as we have more complicated apparatus in the abdomen. One night I was woken up with extreme stomach pain- so bad I couldn’t move or make a sound until it diminished. By the time I was seen in the ER, the pain had completely gone and I felt fine. However, the hospital admitted me for observation and I ended up going into surgery. Even as I was going into the theatre, doctors were explaining that the surgery was exploratory and appendicitis may not be the cause of the pain. As it turns out, I did have appendicitis. My swollen appendix had burst and this had caused peritonitis (inflamed abdominal tissue). I was sick for over a year afterwards and on extremely strong antibiotics for months to fix the infection. Doctors told me that my appendix had been ‘grumbling’ for the last year and I was lucky it had been removed before any further damage was done. It was not until after I had colonic irrigation (my colon was washed out and then healthy gut bacteria inserted, it’s gross I know) and went on a crazy-strict no sugar, no gluten, no dairy diet for nine months that my body began to recover from persistent illness. Contrast this with my male cousin, who experienced bad stomach pain and within a week his appendix had been removed. In light of the proposed idea that the appendix is a storehouse of good gut bacteria, I find it interesting that it was after I had colonic irrigation that I began to recover my health again. This would seem to support the idea that the appendix plays a key role in the immune system by maintaining levels of useful bacteria in the gut. MRI scans: Why are they important? South Canterbury, a region half-way down the east coast of the South Island of New Zealand, has been working since June 2011 to raise NZ$2.7 million. Their goal: to buy an MRI machine for Timaru Hospital. According to the local paper, the appeal was only $250 000 off their goal as of the 27th March. Currently, patients need to travel either 2 hours north to Christchurch or two and a half hours south to Dunedin to get an MRI scan done. For a region of 55,318 people, fundraising just under $2.5 million within 10 months shows the value they place on having a local MRI scanner. Magnetic Resonance Imaging. It’s a way to let doctors see inside your head, literally. Pictures that show the soft tissue of the body in slices, like the ones shown below, are produced. MRI scans measure signals from Hydrogen atoms of water (H2O) in the body. Healthy and damaged tissue contain different amounts of water. An MRI image shows the quantity of water present in different areas of body tissue using different shades of grey. This allows damaged tissue to be spotted. Injection of contrast agents (dyes) into the body is also used to get a clearer picture. MRI technology exploits knowledge of atomic properties such as nuclear spin to create a recognisable picture of the brain. The technology is based on the fact that damaged tissue and healthy tissue have different amounts of water in them. The hydrogen (H) atoms in this water are spinning in random directions around their individual magnetic fields. If you apply a strong magnetic field to the body, all of the individual magnetic fields of the H atoms in water line up. 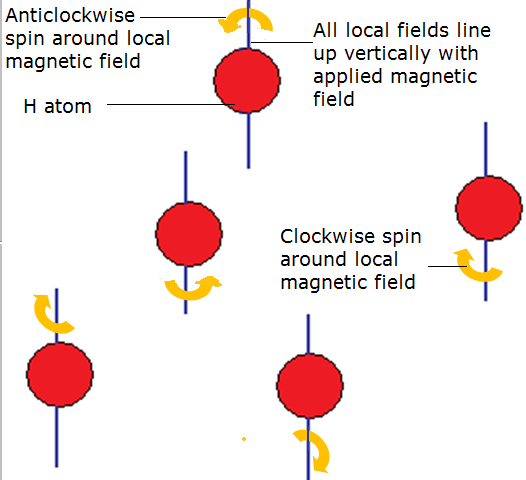 The only difference between the spins is whether they are rotating clockwise or anticlockwise around the magnetic field. This leaves a couple of H atoms out of every million that don’t cancel each other out (1 atom spinning clockwise cancels an atom spinning anticlockwise). This is still a considerable number of H atoms. A radio frequency specific to Hydrogen is then applied to the body, which excites the H atoms with lots of energy for a short period of time. The atoms then emit this energy at a certain frequency. 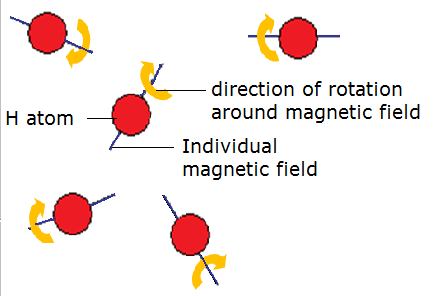 While the radio frequency is applied, doctors can manipulate three gradient magnets within the machine to define the area that an image is produced from. This area or ‘slice’ pictured can be angled from any direction, a distinct advantage over other imaging techniques. A computer watches all the frequencies emitted by the excited H atoms and maps them as an image. Where lots of H signals were seen, there was lots of water. The shade of grey on the MRI is proportional to the amount of water in that region. A doctor can now look at the map of grey regions and detect if there are abnormalities. Diffusion MRI technology is being used to map connectivity of different regions of the brain. Because of the superiority of MRI technology in imaging soft tissue, MRI scans are being used to specifically locate tumours within the body in preparation for radiation therapy. The MRI scans will show the exact location, size, shape and orientation of the tumour. 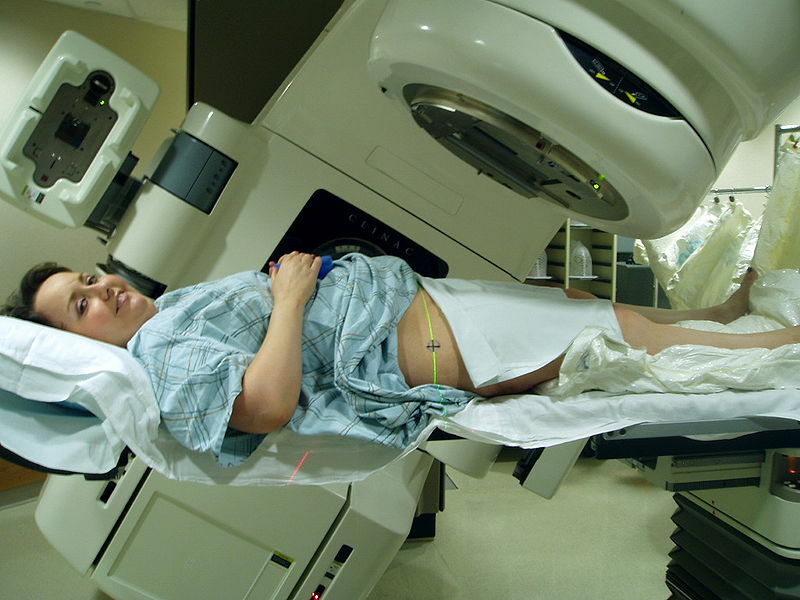 This allows for extremely precise radiation therapy to be applied to the cancer tissue. What’s it like for a patient? Before going into an MRI machine, a patient is asked to remove all metal they are wearing. This includes zips, watches and credit cards. Anything magnetic inside the machine can be repelled by the magnetic fields and become a dangerous projectile. Patients have to remain very still for between 20-90 minutes while the MRI machine makes a lot of noise. Any movement will blur the MRI image and a new scan will have to be made. The noise inside the machine was described to me as continual hammering right beside your head. This is a result of rising electric current from the main magnetic field in the machine interacting with the three gradient magnets. Patients are generally given ear plugs. To avoid attacks of claustrophobia, there is a system of mirrors angled so that the patient see out of the machine. 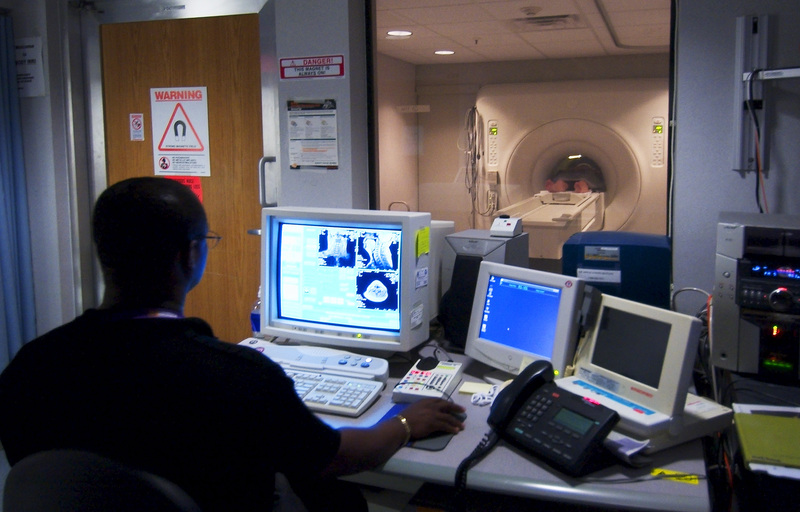 Unlike other imaging technologies, MRI machines do not use ionizing radiation. 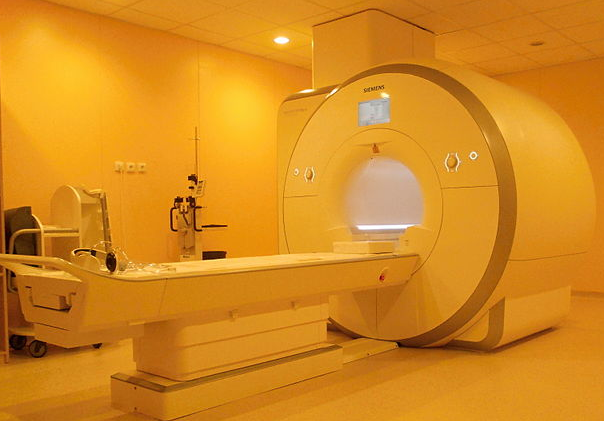 Once a patient emerges from the MRI machine the body and its chemistry reverts to normal. The dye may take a bit longer to pass through the system, but there are no known biological hazards that result from exposure to magnetic fields of the strength used in MRI machines. University of Otago CHEM 205 lecture notes.